BATON ROUGE – Employees and community members will officially welcome Robért Fresh Market to Baton Rouge during a grand opening celebration set for 11 a.m. until 3 p.m. June 23 at the grocery store’s newly renovated location, 7355 Highland Road. The event is open to the public and will feature samples of Robért’s famous “accent items.” These include favorites such as family-recipe muffalettas, smoked salmon, Better Cheddar dip, chicken salad and more. Robért’s will also introduce exciting improvements and amenities, including full-service meat and deli, bakery and floral departments; fresh sushi and pizza made in-house; and a gourmet salad and olive bar. The location also features a CC’s Coffee Shop. The store will also feature its own Boiling Center where customers can purchase fresh boiled seasonal shrimp and crawfish daily. Robért Fresh Market, a family-owned mainstay in the New Orleans market, acquired the longtime grocery location in 2016 and began improvements immediately, with a major construction / renovation kicking off in the third quarter of 2017. Customers are encouraged to visit beginning May 30 for four weeks of hot prices on favorite items exclusively at the Highland Road location. Residents in the area will receive both the store’s regular sales flier and Baton Rouge-specific flier via direct mail. In addition to an extensive selection of groceries, prime meats and fresh produce, the store also features gourmet cheeses, delicious prepared foods and premium wine and spirits. Robért’s also offers a wide assortment of catering items for parties, get-togethers and tailgates. Robért Fresh Market’s normal operating hours are 7 a.m. until 9 p.m. seven days a week. ABOUT ROBÉRT FRESH MARKET: Robért Fresh Market, founded in 1994, operates its family-oriented business from a customer responsive viewpoint, offering the best possible service and satisfaction for both associates and customers. 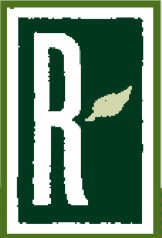 For more information, visit www.robertfreshmarket.com.